NSK develops premium gyroscope toy with precision bearing technology - spainbearing Lishui Bearing Trade Co., Ltd.
NSK Ltd. (NSK; Headquarters: Tokyo, Japan; President and CEO: Toshihiro Uchiyama) Group company, NSK Micro Precision Co., Ltd. (Brand name: ISC), has designed and developed a new gyroscope toy with a super-smooth spinning rotor. A precision bearing enables highly stable, protracted rotation of the rotor disc, and thereby the gyro itself. Spin Gear Yo-yo Shop exhibited the new gyro at International Tokyo Toy Show 2018 at Tokyo Big Site from June 7-10, 2018. NSK Micro Precision hopes that these toys will spark interest in the mysteries of science and technology, in both children and adults alike. NSK Micro Precision developed the gyro in cooperation with former yo-yo world champion, Takehiko Hasegawa, who also worked with the company on the wildly popular NSK fidget spinner (“Saturn Spinner”) in 2017. The new gyro has a unique design, with a single bearing located in the middle of the rotor disk instead of at the top and bottom of the spin shaft. This reduces friction, and contributes to longer idle spinning time. In-house tests show that the gyro can spin for more than four minutes on top of its tiny stand, and that the rotor disc can spin for longer than fourteen minutes. The toy makes use of the gyro effect, which acts to maintain a constant axis of rotation even when external force is applied. 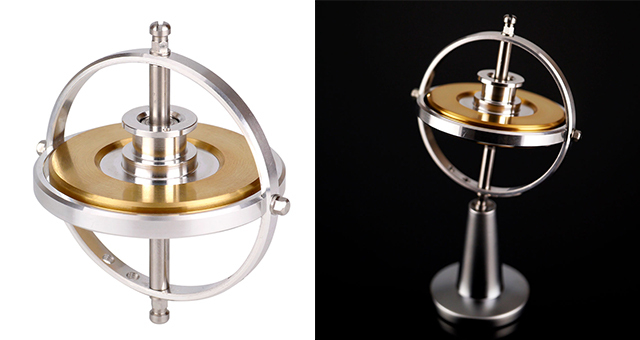 Gyroscopes with ball bearings are widely used for navigation purposes in ships and planes. 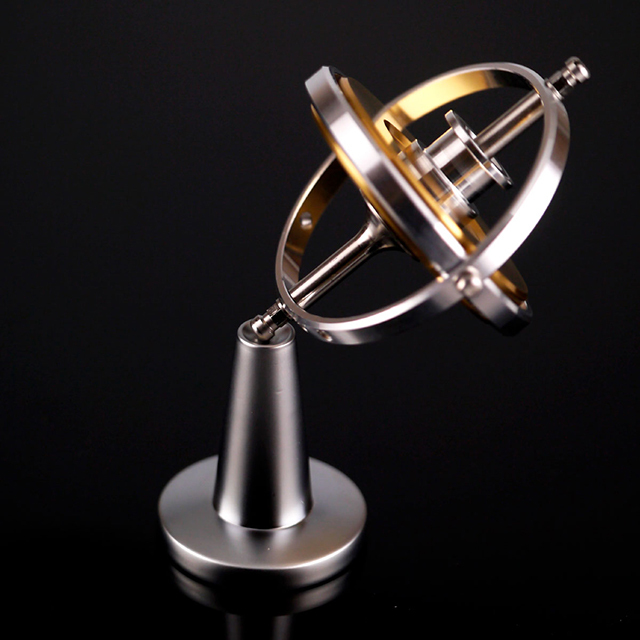 However, this is the first commercial gyroscope toy in Japan made with a ball bearing. The extraordinary precision and attention to detail makes the gyro stand out from the crowd. The gyro is completely made-in-Japan, with many components sourced directly in Tokyo and area. This includes the outer rings, which are produced on a high-precision lathe in a machine workshop in Shitamachi, the storied artisan district of Tokyo. About NSK Micro Precision Co., Ltd.
NSK Micro Precision (Brand name: ISC) is an NSK group company that specializes in the development, production, and sale of NSK's range of miniature ball bearings (deep groove and angular contact). Many products contribute to improving the performance of computers, medical devices (such as dental equipment), boats, fishing gear, and more. The company employed its expertise in bearings to develop fidget spinners, yo-yos, and spinning tops as its independent contribution to the “Cool Japan” initiative promoted by the Ministry of Economy, Trade and Industry. The company also supports the World Yo-yo Contest and the Japan Open Yo-yo Championship (JOYC). Company: NSK Micro Precision Co., Ltd.